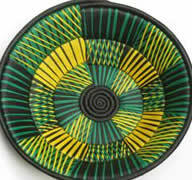 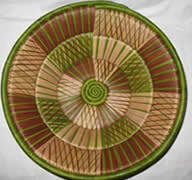 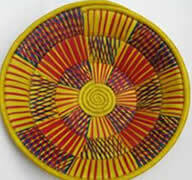 Women use raffia and banana leaf stems to create their detailed criss cross woven baskets. 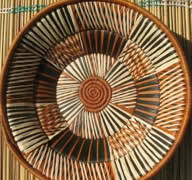 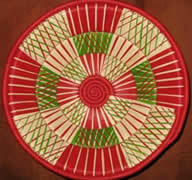 Overlay basket techniques such as “Criss Cross” require triple the work of a saata or raffia basket. 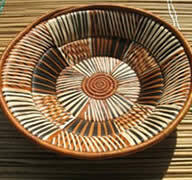 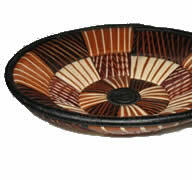 The artisan first ties the inner coils of a basket together to create the shape of the basket. 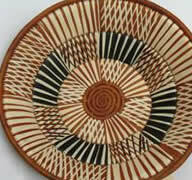 She then pulls fresh raffia over five or six rows of coils to create blocks of flat colour. 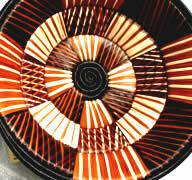 The next stage is pulling third or forth colours over these blocks that cross over each other creating this unique design. 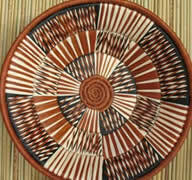 Raffia can be dyed into almost any colour so many of the designs in this catalogue can be altered and updated to match the most up to date trends in home decoration.